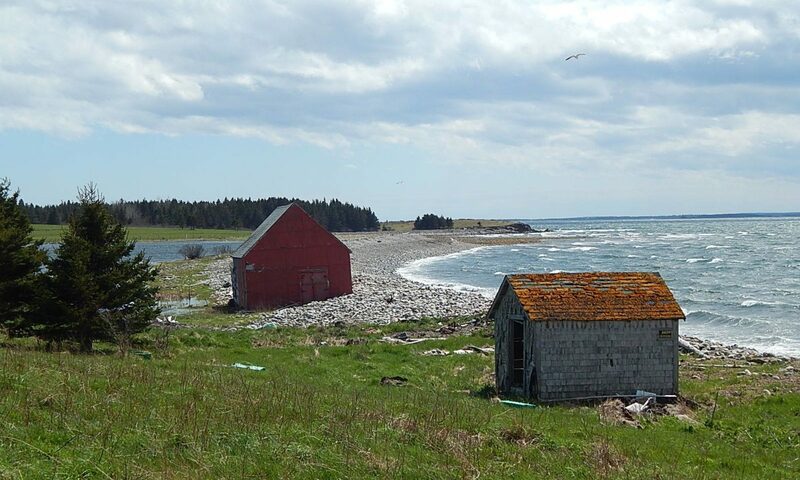 Come and explore Tancook Island – a true Nova Scotian treasure just waiting to be discovered. We are a unique community located approximately 6 miles off Chester, Nova Scotia – where vibrant artistry, a pristine natural environment, and a history rooted deeply in strong fishing traditions intertwine. We invite you to leave your cares on the mainland and take a relaxing hour long ferry ride to visit us across beautiful Mahone Bay – or feel welcome to sail into our protected cove and stay awhile. Come breathe in the sea salt air. Explore by hiking, biking, or beach combing for sea glass and shells. Enjoy a snack or meal at one of our eating establishments. Take a walk or rent a bike and ride to our museum where you will discover stories of days gone by. Make Big Tancook your destination of choice to explore Lunenburg, Mahone Bay, Chester and Peggy’s Cove. There is no place better to allow the pace of life to slow than Big Tancook Island. You may find this map helpful when planning your visit to Tancook. On your visit please stop in at the Recreation Centre – a short walk from the ferry. Our island ambassador will answer any questions you may have. The pepper sand of Southeast Cove Beach is warmed by the tides rising over the sand bars that extend 200 meters from shore into the ocean. The water temperature can reach up to 18 C. This is our largest and most popular beach. Just past Southeast Cove is an interesting rocky beach called “Gravel Cove” where the rounded stones pop and gurgle as the waves wash in and out. On the way to Gravel Cove, check out the intriguing tubular and bubble-like formations in the flat, rocky outcrops that stretch into the ocean. Additionally, a fossil beach is located very close to the wharf where the ferry docks. On this beach you may be lucky enough to find a treasure from long ago. There is also a quiet, secluded shingle beach on the other side of the island at Little Kaffel, which offers a lovely spot to have a picnic lunch, fly a kite or just spread a blanket and enjoy the sounds of the sea. In shoreline tidal pools you’ll find crabs, eels, minnows, starfish and other small sea creatures. The beaches are also home to numerous shore and wading birds, such as herons, gulls and sandpipers. While walking the beaches you’ll also find many treasures including shells, drift wood and various colors of beach glass. Keep in mind that the most common colours of glass found on our shores are brown, green and white – if you’re lucky you may also find rare colours like blue, purple and red, which you should consider very special – as we do. Tancook offers an interesting and scenic eco-environment in which to hike and bike. Because our ferry is for foot passengers only, most visitors tour our island by foot or bike. This will allow you to take in all the richness of this tranquil setting, as well as experience the slower pace which exists on Tancook. We are home to only dirt roads, which offer smooth walking or wheeling. Around each winding corner you’ll find scenic surprises and panoramic places to rest. Our relatively untouched natural environment offers beautiful oceanscapes, big skies and green spaces to enjoy. Bike rentals are available through Tancook Bikes and Carolyn’s Restaurant. Seventy-seven species of resident, seasonal and migratory birds can be found on Big Tancook Island. Some of the rare and exciting birds occasionally seen here include the Indigo Bunting, the House Wren, Tanagers and the Northern Parula. Other, more commonly seen birds include Crossbills and Blue Jays, Chickadees and Nuthatches, Warblers and Kinglets, Pheasants, Mourning Doves, and Robins. There are also Hummingbirds and Swallows in summer. The history of Tancook can be understood in a very real way by visiting our cemetery. Many families make journeys to the island to research their family genealogy, or find long-lost family members. With headstones dating back to 1855 there is certainly lots to learn about our unique past. Reading the stones and following the family lines provide family historians with exciting and valuable information. There have been geocaches on Tancook Island since 2006. Since then, many geocachers have made the day trek to seek out the caches. Our first geocaching event was hosted in 2012 and we have had several since then. There are currently 40 caches on the island, many offering more unique challenges to test the most seasoned of geocachers. We have many kid-friendly caches and caches to get you hooked! You’ll learn about the history of Tancook while visiting some of our cache listings. Our caches will help you discover areas of our island that the regular visitor may not get experience. To find our listings, go to geocaching.com, enter our postal code “B0J 3G0″ to search our listings. Cache listing pages are also available at the Tourism Centre. Look for fossils at the beach below the gravel parking lot at the land-end of the Tancook Ferry wharf. Here you will find fossilized corals and shells, some of which contain glittering bits of “fools gold”, also known as pyrite.